Original Video fully understands how difficult it can be to find a successful business that suits both your lifestyle and today’s 24 hour society. 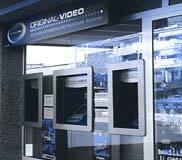 That is why our company has developed a fully automated DVD store that works for you, 24 hours a day. What makes us so unique is that we offer an exceptional franchise package without charging any franchise fees or royalties. 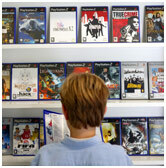 We also provide the option of choosing your own supplier of movies/games or opting for our very competitive distributor. - A strong and recognisable international brand. - Extensive industry experience and know-how. 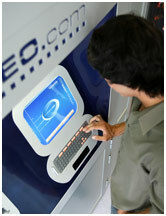 - A proven track record of business success with over 500 units in operation. - A structured launch programme with the necessary marketing materials. - Ongoing business support and account management. - Excellent rates on the latest stock. - Assistance on finding the right location. - Massive market potential - £1.5bn. - Rapid return on investment and unlimited earning potential. - Extremely low running costs.